Connie Prince Digital Scrapbooking News: Win it Wednesday! Plus a freebie! Win it Wednesday! Plus a freebie! Let's play our super simple blog game!!! 1. 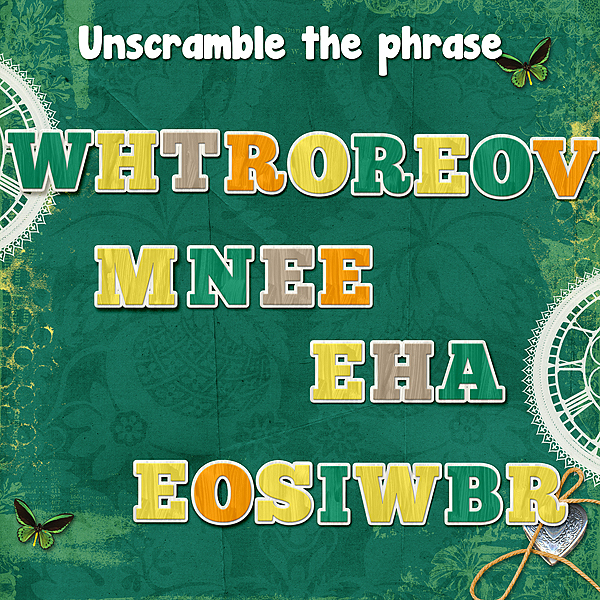 Unscramble the phrase. I used #2019 March to make the game. Tomorrow is the last day to grab Travelogue Alabama on sale! Don't forget about Connie's Birthday Sale! I guess my days of playing this game are over. These phrase scrambles are way too hard.